I have battled weight issues all my life. In high school I was an active athlete, but after graduating it was a constant struggle to keep my weight in check. 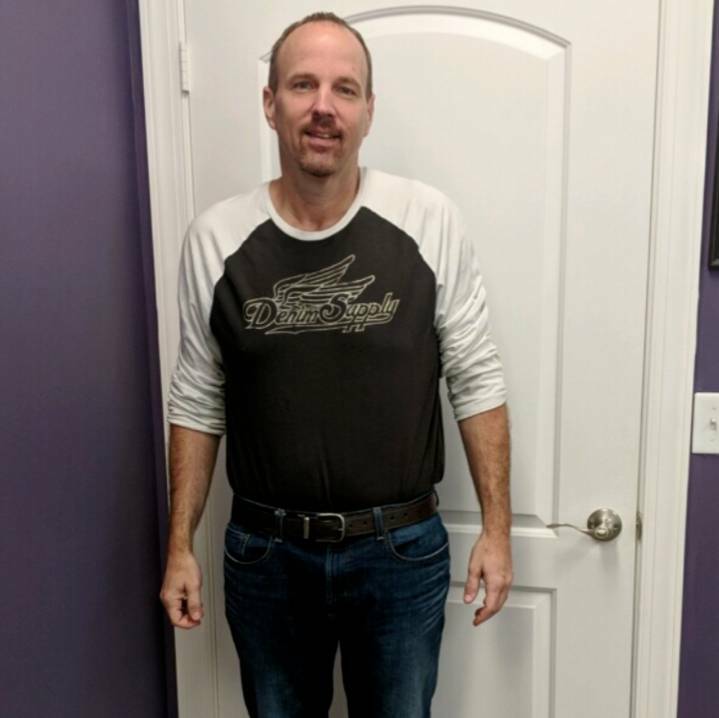 With lifestyle changes (marriage and a career with heavy travel), I have been 50-90 lbs. overweight for the past 20 years. 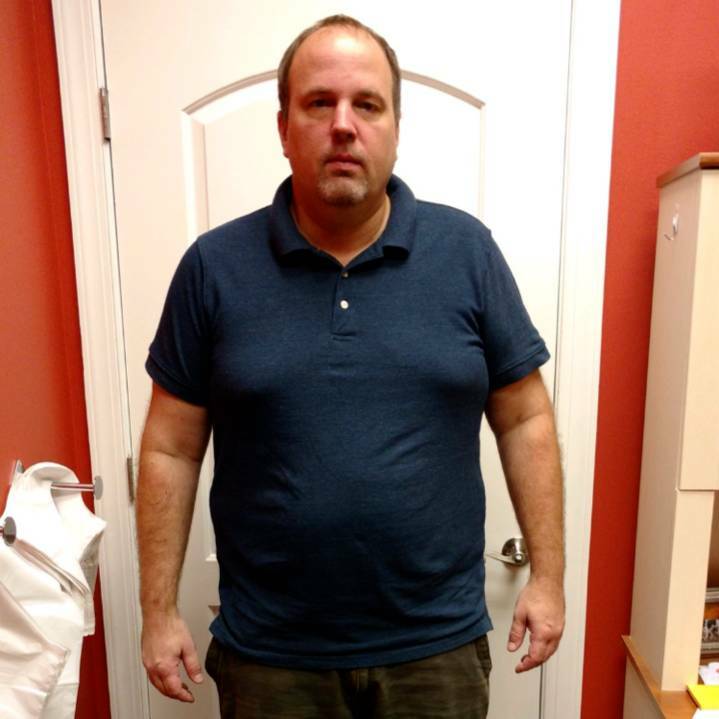 Three years ago I lost 50 lbs., but failed to keep it off and within 3 months, my weight was back up again. I heard about Ideal Protein through co-workers who were successful on the program. In October 2017, my wife, Melanie, and I decided to get serious about our weight loss and enrolled in IP. We decided we were not going to “wait until after the holidays.” If we could be successful through the toughest time of the year (holidays and winter), when we rolled into the new year, we would already be well on our way to success. "I am active again, and I feel better. Getting exercise has helped me to maintain myself, and because I am not carrying around an extra 80-90 lbs., I see the progress in my performance. " Nothing "surprised" me about the journey. Understanding and comprehending the science was fantastic to me. Knowing how the pancreas reacts to sugars and carbs and how the program counters this helped me to understand why it is successful. As I transitioned to maintenance, I started running again. I’ve been maintaining a weight of 208 for over two months, and I have shaved 12 minutes off my 5K run times. Though I’ve never had “high” blood pressure, I have been borderline high because I have been overweight for so long. My last blood pressure check was 110/68.